On behalf of the Personal Financial Planning, PFP, faculty, I am pleased to share our spring newsletter. An objective we have in the PFP program is to provide our students with professional development experiences. Exposing students to various aspects of financial planning, financial counseling and financial therapy helps raise students’ awareness of many career opportunities that exist with a Personal Financial Planning degree. We offer unique experiences that expand students’ knowledge and understanding of the financial services industry. We have highlighted a few of these professional development experiences in this newsletter, and I would like to mention a few below. 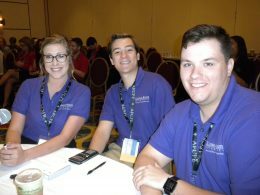 In November, our undergraduate team of Allison Becker, Scott McGehee and Dominic Crook, competed and placed 3rd in the Association of Financial Counseling and Planning Education’s (AFCPE) Knowledge Bowl. Their essay submission earned them a seat at this challenge where they were one of five teams selected to compete in the Jeopardy-like game. 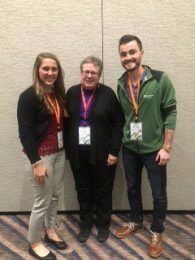 In February, Ann Coulson took undergraduates Emily Stec and Nolan Keim to TD Ameritrade’s LINC 2017 conference in San Diego, CA. 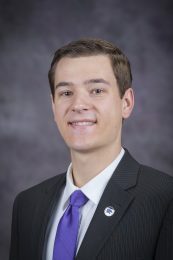 Both faculty and doctoral students attended the CFP Board Academic Research Colloquium in Washington, D.C. Stuart Heckman and doctoral student, Benjamin Strother, won the Northwestern Mutual Best Paper Award in insurance and Risk Management at the 2017 Academic Research Colloquium for Financial Planning and Related Disciplines. 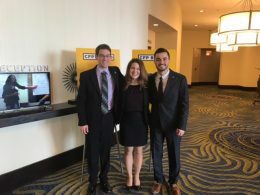 The undergraduate Personal Financial Planning team of Lindsey Adams, Nolan Keim and Stephen Phillips that placed 3rd in the Financial Planning Association’s national competition in 2016 presented at the 2017 CFP Board Program Directors conference in February. 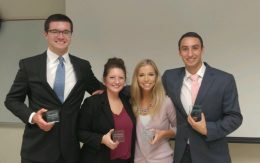 This spring, Edward Jones partnered with K-State in the first K-State Portfolio Challenge. 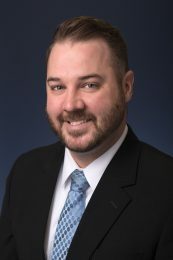 George Belin worked with his Investments II course and local Edward Jones advisors. Dayton Schmalzried, Aubrianna Graham, Courtney Hoffman and Josh Harper and were members of the winning team. We revised the the Bachelor of Science in Personal Financial Planning curriculum and now require students to complete an internship. Students can now choose a track in family financial planning, sales or entrepreneurship. 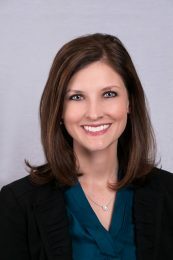 Faculty have worked with College of Business colleagues, specifically the National Strategic Selling Institute and the Center for the Advancement of Entrepreneurship, to create these specialized academic opportunities. In August, we will welcome a new cohort of doctoral students to campus. As part of the residency experience, we will host our third annual Practitioner Oriented Poster Forum. This event will take place on Thursday, August 3 at 6 p.m. We are looking for sponsors of travel awards for the winners – please email me if interested in sponsoring an award or attending. We are also continuing our campaign for the PFP scholarship initiative. 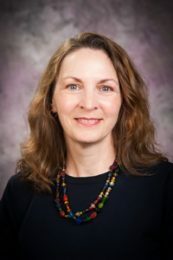 This initiative aids in recruiting new students, not currently at K-State, to the major and provides scholarships during their four years of education. If you are interested in this initiative or would like to support PFP, please reach out to me or Dana Hunter, our Kansas State University Foundation development professional. We hope you enjoy reading about the alumni, programs and activities highlighted in this issue. PS. Check out our teamstore to get your PFP gear! Since November 2016, I have had the pleasure of serving as the PFP Advisory Board Chair. The objective of the PFP Advisory Board is to assist the program in growing and to support the program’s needs to be successful. We are dedicated to helping the PFP program connect students to the industry, engage in and develop industry relationships, and raise awareness across campus and in the community. Our advisory board consists of alumni, friends, an undergraduate and graduate student and faculty acting in an ex-officio capacity. The board, Dean of Human Ecology, John Buckwalter, and the Kansas State Foundation College of Human Ecology’s development professional, Dana Hunter, work together to stay apprised of the program’s activities, discuss students’ and faculty’s needs, and brainstorm how to grow the program and move it forward. 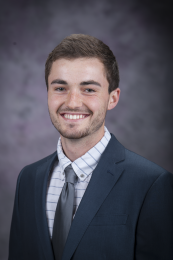 The Personal Financial Planning program hosted its first Professional Connection Event on March 10 at the K-State Alumni Center. 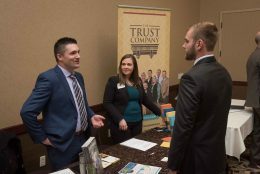 Representatives from fourteen financial planning firms attended to share information about their firms and recruit for internships and full-time positions. The day included firm introductions, an exhibition hall, a networking lunch and a quick connections event. A highlight was the quick connections event, during which students met with each firm for five minutes in a speed-dating-like environment to establish initial rapport. Firms were updated on the recent changes in the undergraduate curriculum, including the addition of an internship requirement and coursework options from the Entrepreneurship Program and the National Strategic Selling Institute. I am experiencing incredible career and personal growth at this stage of my life. A successful CEO friend shared: When you align your passion with values and your work—great things will happen. Originally, I am from New England. Due to my father’s career path in the New England Telephone Company, our family continually moved between Rhode Island and Vermont. I also spent several years working in New York City – living in Westchester County. So basically, I am a North Easterner! Eleven years ago, I was offered a position with Wells Fargo Private Bank in Denver, Colorado, and since the skiing is way better in Colorado, it was an easy decision! I’m from a very small town in Kansas, Ellinwood, and I currently live in Kansas City, Kansas. 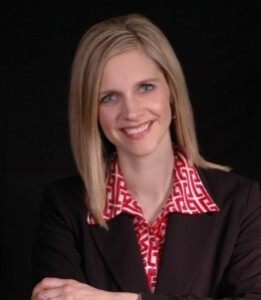 After graduating from K-State in 2007, I moved to Denver, Colorado, to work for TIAA-CREF as a financial consultant. I assisted participants with their 403b plans in a call center environment. This was not for me, so I became an account manager for American Fidelity, where I specialized in employee benefits for K-12 schools in Colorado. I enjoyed this position, but I wanted to work more with investments, so I took on a position as an account manager with Verus Retirement, which specializes in retirement plans and analyzing investments inside a 401k. 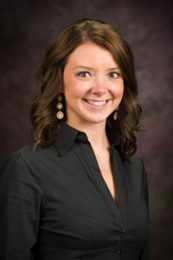 The Financial Planning Association at K-State, FPA K-State, student group has been very active throughout this school year. The group is run by co-presidents Nolan Keim, junior, and Scott McGehee, junior, with faculty advisor Roxanne Martens. The group is rapidly growing and has roughly 25 members, which represents a little under half of the undergraduates in the major. During the previous school year, FPA K-State hosted an intern panel made up of students who had internships over the previous summer. They answered questions related to their experiences and offered advice to other students seeking out opportunities for internships. 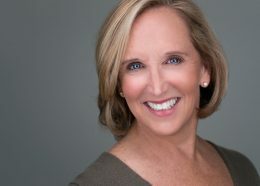 The group was excited to host PFP alum Linda Leitz, owner of It’s Not Just Money, Inc., from Colorado Springs, Colorado and she spoke about opportunities in the industry, specifically for young women. Often serving as the front door to Kansas State University, Kansas Cooperative Extension is headquartered on the K-State campus in Manhattan and is invested with faculty and staff in four colleges (agriculture, arts and sciences, engineering and human ecology), on the Manhattan and Olathe campuses, throughout the state at five research-extension centers, and in every county. Operating collaboratively with the Kansas Agricultural Experiment State as K-State Research and Extension, faculty and staff with extension appointments provide trusted, practical education to help individuals and families, businesses and communities solve problems, develop skills and build a better future. Several years ago, through a strategic planning process with stakeholders, five grand challenges facing every Kansan were identified. They are: global food systems, health, developing tomorrow’s leaders, community vitality, and water. Efforts in research and extension focus on addressing these challenges to help better our state and beyond. Come grab a jacket, shirt or scarf at the K-State PFP teamstore and support our students!